Joseph Anthony Bradford was born on 14 June 1928. He died on 20 September 1990, aged 62. Tony Bradford was a member of the Union of Postal Clerks and Telegraphists. Tony Bradford was Alderman for Gipps Ward, 1 December 1962 until 13 November 1967 when the Council was replaced by Commissioners and from 20 September 1980 until 26 March 1987 when the Council was again replaced by Commissioners. 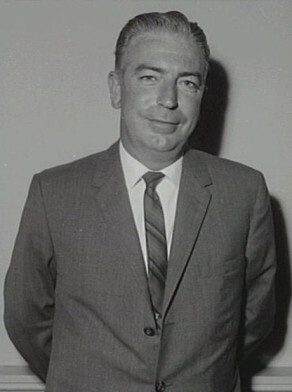 Bradford was Deputy Lord Mayor in 1966-67, 1981, and 1983. He was a member of the Works Committee, 1963-64, the Health and Recreations Committee, 1963-64, the Finance Committee, 1965-67, the City Planning and Improvements Committee, 1965-67, the Planning and Development Committee, 1980-81, the Works and Housing Committee, 1982, the Major Building and Development Committee, 1984-87, the Ordinary Building and Development Committee, 1984-87 and its Chairman in 1985. He was a member of the City Planning Committee, 1984-87, the House Committee, 1984 and member, later Chairman, of the Sydney Cove Redevelopment Committee. He also represented the Council on the Observatory Hill Management Committee, the Sydney Convention and Visitors’ Bureau, and the Sydney Business District Association. He was a member of the Australian Labor Party.